We know what colors we want. We know what date we want. (Er...I want...3/30/13...has a nice ring, doesn't it?) We know who we want in our bridal/groom parties. We know who we want to invite. We know what kind of cake we want. We just don't know WHERE we want to get have the reception. (Beach ceremony, please!) But reception??! Can't decide. We don't know. The town we live in is fairly small. There's not that many country clubs or wedding reception halls available...especially that are nice! And within a decent price range. I'm ready to rent a huge beach house and have the reception there. But I'm not sure if 100 people could comfortably fit. An outside reception in March? Hmm. I've neve been to an outside reception period. Have you? How was it? Outside receptions are tricky. The biggest thing is, you have no back-up if it rains or is stormy. With an outdoor ceremony, you could always relocate inside to the indoor reception area if inclement weather shows itself, but if both are outside...you have no other option. Have you tried broadening your search? It isn't unreasonable to ask people to drive to your reception if it's within a 30 mile radius. Also, consider state parks in the area. Do they have indoor halls of some sort? Vance and I had our ceremony at our church and then our reception around 25 minutes away in a hall located within a state park. It was WAY cheaper than anything else in the area, it supplied all the chairs/tables, a full kitchen, and clean-up in their fee, and it was BEAUTIFUL. What about hotel ball rooms in the area? I don't know your budget, but some have reasonable prices. You could also look into local restaurants. Some have spaces you can rent out for your reception. By the way, renting a beach house isn't necessarily a bad idea, but unless it has a HUGE great room, there will be a lot of disjointment. Not everyone will get to be in the same room/see everything. Plus, if you plan on having a dj/band/dancing, that might not be conducive for that. Not trying to be discouraging! I just have been in/been to a LOT of weddings these past few years, including my own, so I've seen what works and what doesn't. Feel free to text/email me if you wanna talk more about this! Above all, don't stress! Love you!! I am ALL about the huge beach house idea! My husband and I considered doing that for our wedding, and we were going to have our guests stay at the house and have the reception outside. Dancing on the sand, dinner poolside. It didn't work our for us because our guests went back and forth on who would actually be coming down for the wedding. We ultimately decided to have our ceremony and reception on a boat. The ceremony and dancing took place on the top deck and the dinner was in the inside cabin. It was magical! Ah, the reception was the toughest for us, too! We just couldn't afford all the crazy prices people wanted us to pay! I suggest getting creative! Seriously, we used an old car dealership that turned into a restaurant. Sounds weird, right? It was not what we were looking for at all...but we were able to make it our own and it was transformed into a vintage wedding and people still talk about how perfect it was! It took a little more work but when all was said and done we saved about $10,000. So don't be afraid to be original!! just make sure you have a backup plan for rain! I know in our area a popular thing to do is rent a giant beach house and have the party there! Ceremony on the sand out back and then the reception on a big outside deck/patio of the home. You should be able to find some examples on Google of people who have done that in your area, I'm sure they have! I was able to find a state park that had a beautiful lodge to have my reception in, and it was much cheaper than most reception halls! If you are going to try for an outdoor reception make sure you have some kind of backup in case of weather. Without knowing where you live I can't say whether an outdoor reception is a good idea or not. Here in TX you might be able to get away with it...especially since it is at the end of March. I wish you luck as you continue to plan and search! I adore wedding planning! There is so much to think about. I've never been to an outdoor reception, but it sounds so cool! 3/30 is one day before Easter...what a beautiful time to have the wedding! 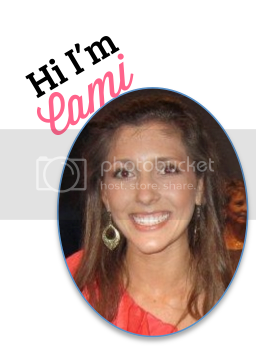 Wishing you lots of luck with your planning, Cami! Hope it all comes together just the way you hope! I had a hard time deciding on a venue too! I probably looked at 15 before I decided. We are doing outside. You are going to end up getting married before me! Our date is 5/11/13. I think the beach house idea is fantastic, and budget out a tent rental in the case of inclement weather. Hopefully, you should be fine in March but you never know. I know it's tough, but I'm sure you will find a perfect place. You have some great suggestions from previous commenters. You should definitely look into those ideas. Maybe indoors? I don't know.. I'm not married (yet)! Late on finding this post, BUT: I used to work for a catering company and a few of the weddings I did were outside. The venues were great because they were outside but covered. Sometimes they had big porches (or the whole venue WAS a big porch), and sometimes the dancing was held under a tent. In a wedding I actually was a bridesmaid in, the whole thing was held in an old plantation house and the ceremony was held on the patio which had clear plastic walls that could be rolled down in case of inclement weather and the venue had heaters in case it got chilly. All of them worked out extremely well. If you want to rent a house that doesn't have a planner of some sort to go with it, I would recommend finding either a catering company with a planner attached (mine did this all the time), or find a planner who can navigate the kinds of tents/floor/DJ etc. which would work best for outside spots. But, it's definitely do-able with a rain plan attached! What you are saying is absolutely correct choosing a venue for wedding is one of the most difficult task in the world but it should be selected by the bride and groom.